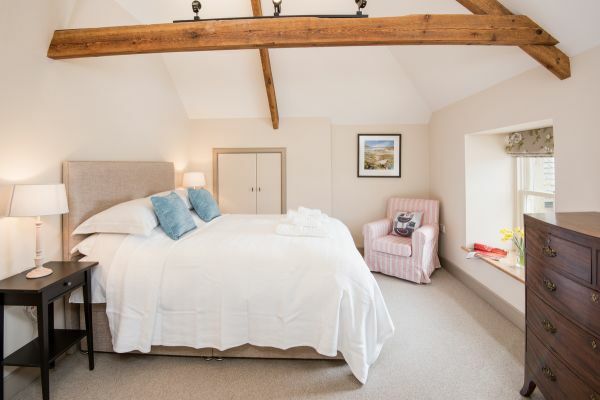 Gloriously rural, Crookhouse Mill is a fantastic new barn conversion set in a spectacular spot with breathtaking views over the hills and valleys of the Northumberland National Park. 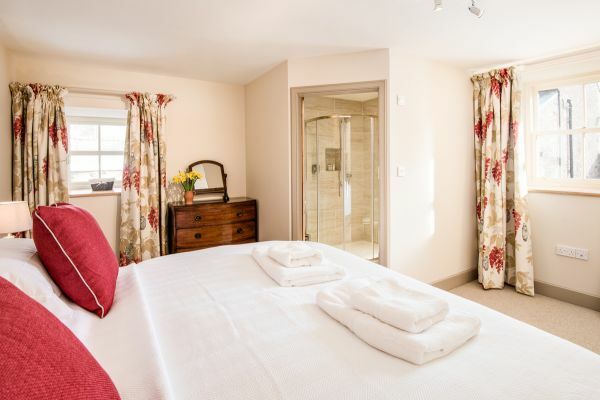 It will be a favourite with families and friends looking for a place to unwind and enjoy some together time in a tranquil country setting. 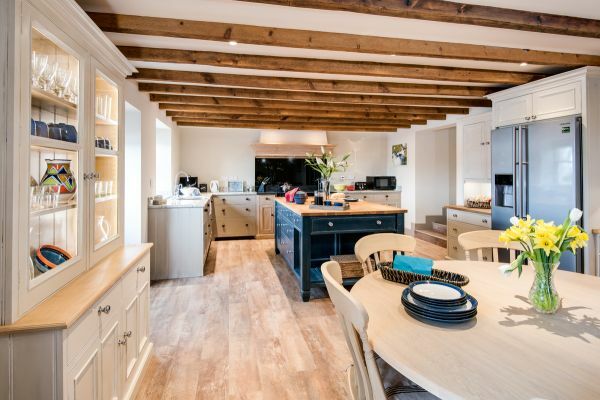 For those with a love of entertaining, the large open plan kitchen and snug with its hand-crafted Chalon style cabinetry offers a wonderful space to cook, eat, socialise and relax, with large french doors leading out to the garden where you can enjoy that first cup of coffee or last glass of wine. 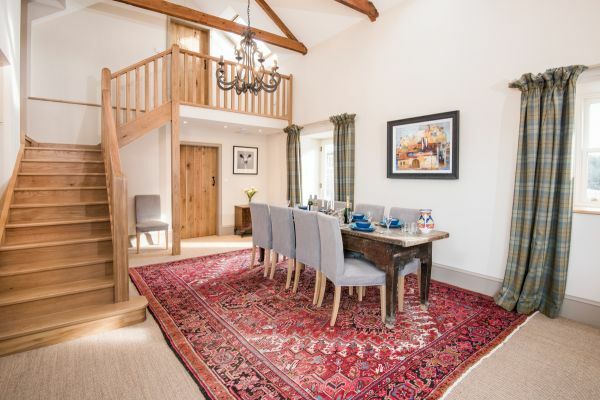 With subtle decor and classic furnishings in wool and tweed, the lofty open plan sitting room with original oak beams has a warm, understated elegance with a large fireplace which takes centre stage. 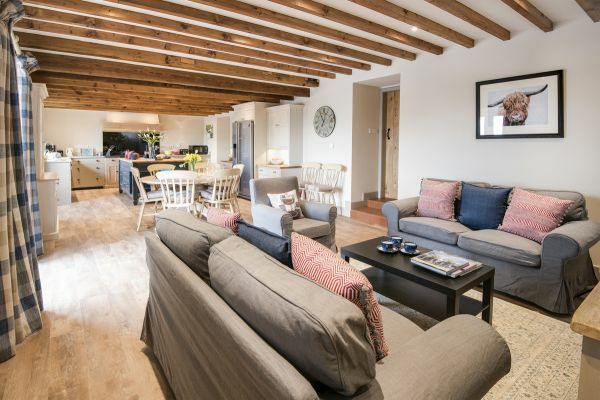 The dining space features a large oak refectory table which seats eight comfortably but can accommodate up to twelve guests for relaxed evenings in. 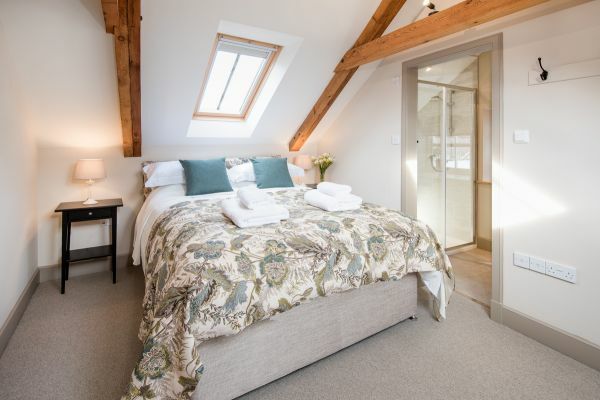 A ground floor double bedroom offers flexibility with a zip and link bed and en-suite facilities, while the calming palette of natural tones continues up to the first floor galleried landing which leads to three well appointed en-suite double bedrooms. 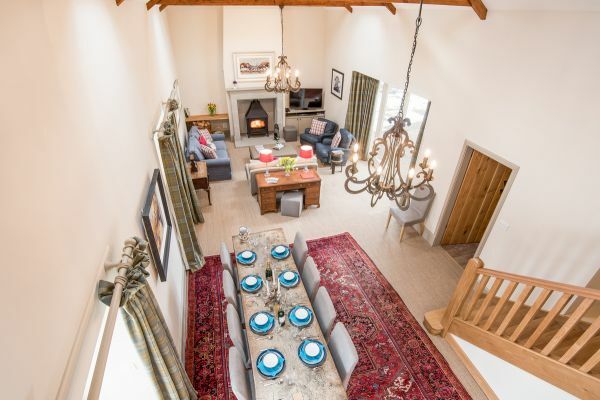 Set at the end of a private road high in the hills on the Lanton Estate, this is an area of big sky views, stunning scenery and spectacular sunsets which will only leave you looking forward to your next visit! Despite Lanton’s rural location there are good local amenities nearby. 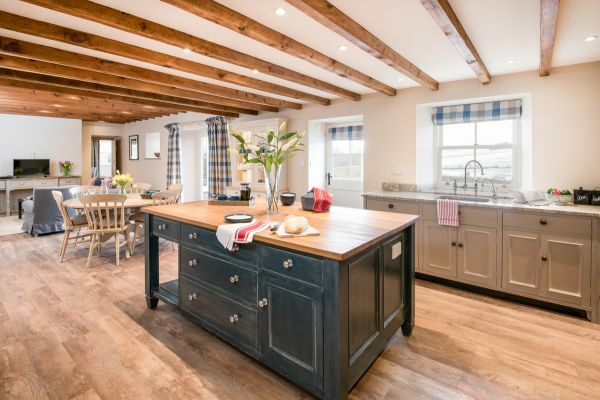 The estate is seven miles from the pretty town of Wooler which offers a good range of independent shops including two excellent butchers, a very good delicatessen, several pubs and cafes and the highly rated Milan Restaurant. 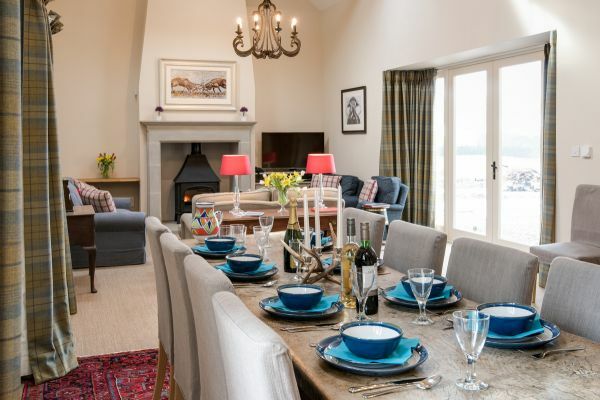 Cornhill on Tweed is eight miles from the estate and offers an excellent village shop selling pies and delicious local goodies and the Collingwood Arms which has a super bar and restaurant specialising in dishes prepared using the wealth of local produce on offer. 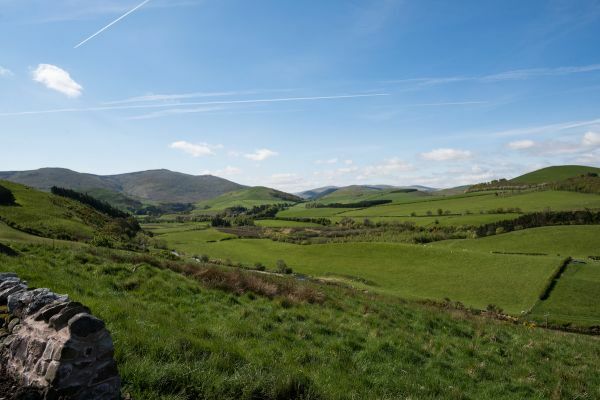 Fabulous walks from the doorstep range from leisurely rambles along the Bowmont Water and surrounding farmland to 600 miles of designated hill and moorland routes in the Cheviot Hills. The St Cuthbert’s Way and the Pennine Way are also nearby. 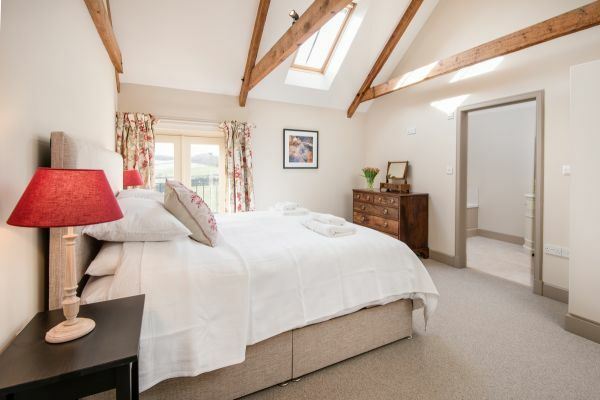 Dogs and horses are welcome at Crookhouse and stabling is available. 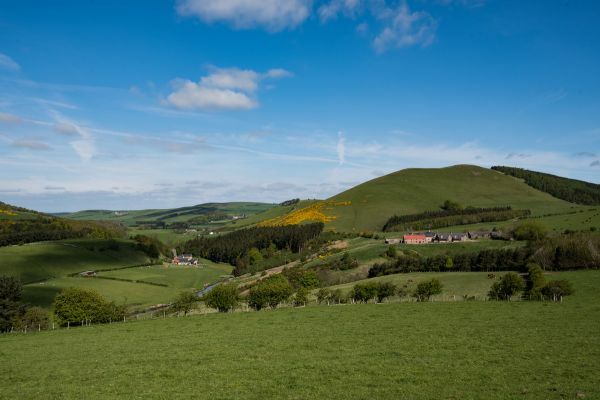 The local bridle paths provide access to some of the most beautiful and unspoilt areas of Northumberland. 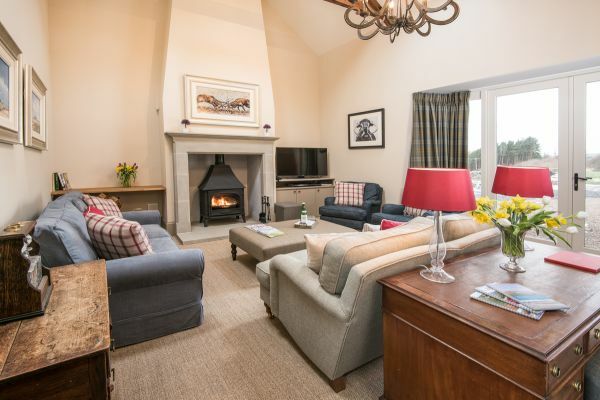 The stables at Kimmerston just down the road also offer riding in the Cheviot Hills as well as rides on the spectacular sandy beaches on nearby Holy Island. Some of the cleanest and emptiest beaches in England can be found on Northumberland's spectacular Heritage Coastline nearby. One of our favourite spots is Bamburgh Beach, with miles of pristine sand nestled behind huge sand dunes. At low tide take a trip across the causeway to the mystical Holy Island of Lindisfarne or take a boat to the Farne Islands to see the resident colonies of Grey Seals and an impressive array of birdlife including Puffins. The region’s rich history is reflected in the magnificent chain of castles that punctuate the landscape. 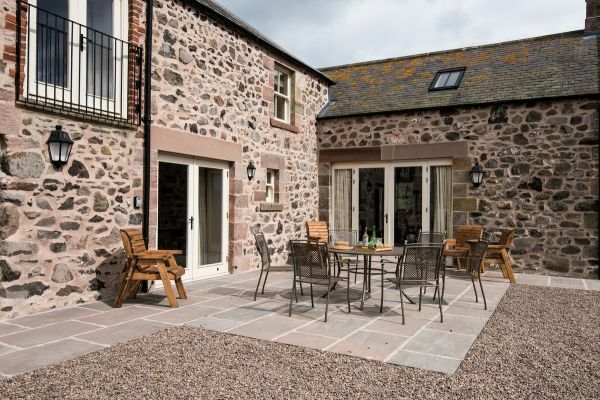 Those nearby the cottage include dramatic Bamburgh, perched high on its rocky outcrop, the vast, romantic ruins of Dunstanburgh, the palatial splendour of Floors, Chillingham, reputedly one of the most haunted buildings in England and home to the world’s only herd of wild cattle, and foreboding Alnwick, made famous as the location for Hogwart’s School in the Harry Potter films.